Whether you need commercial, or residential epoxy flooring, you can count on us. We are proudly one of the leading epoxy flooring contractors in Corona, California with a commitment to providing only the best in customer experience. We offer specialized epoxy flooring systems for residential and commercial customers with limitless ways to customize your floor system. From decorative metallic epoxy floors and epoxy flake flooring to specialized commercial coatings, we have a solution to fit your needs. Whether you want an eye catching metallic epoxy floor for your basement, a bright and seamless garage epoxy floor coating, or a hardworking epoxy concrete floor for your business, we can help. Epoxy flooring in Corona is a versatile, robust, and attractive flooring system made from resin, a hardener, and decorative additives. When combined, a chemical reaction produces an incredibly strong and durable plastic coating that increases the durability and weight load of your concrete floor. Epoxy is strong enough for even demanding industrial settings, hospitals, and auto shops yet its attractive enough for basements and living spaces. Our specialized epoxy systems can be used almost anywhere you want a bright, seamless, clean, and durable floor. We have developed industrial epoxy flooring systems for a wide range. 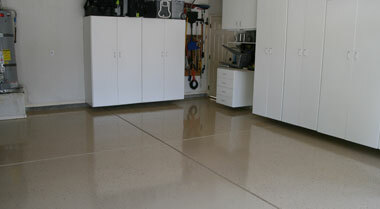 Ditch the tired, dusty garage for good with a beautiful garage epoxy floor coating. 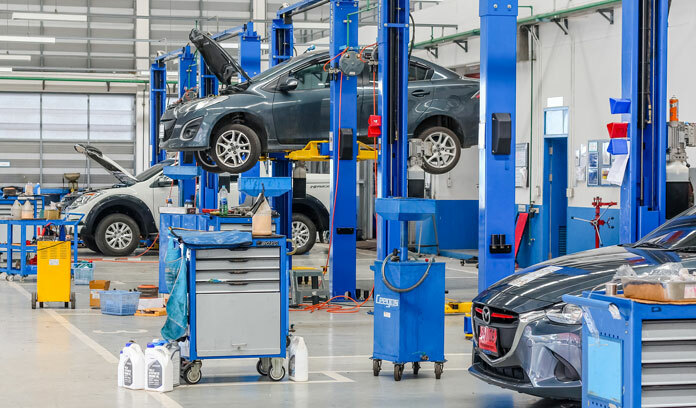 Epoxy is an ideal solution for garages because it resists damage from dropped tools, gas and oil spills, vehicle traffic, and more. It’s easy to sweep and clean and stops concrete dusting for good. It can also give you a garage that looks like a car showroom. 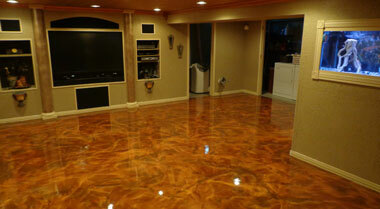 Garage floor epoxy in Corona, CA is so in demand that it can even boost your home’s value. Choosing a floor system for your basement can be challenging. Hardwood floors will warp and carpet can easily become moldy and water damaged. An epoxy basement floor delivers a superior floor system that’s highly customizable yet withstands all of the hazards of the typical basement, even flooding. It also brightens your basement dramatically and requires almost no care. Who says epoxy flooring needs to be boring? We offer plenty of ways to get a decorative look for your home or business. 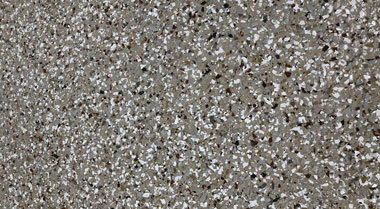 Epoxy flake flooring is popular for garages, basements, and businesses with a multi-color flake pattern. 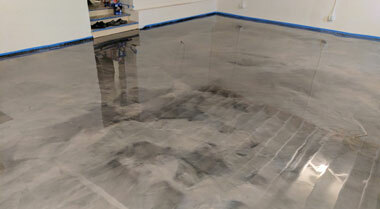 Another fun option is a metallic epoxy garage floor or basement floor. Metallic epoxy can look like beautiful colored glass, lava lamps, storm clouds, and more. Metallic epoxy is one of the biggest trends in epoxy flooring. Its unique appearance is perfect for a showroom garage, family room, basement, or hotel lobby. We can create a signature look by combining various metallic pigments with the epoxy then manipulating them with blowers, solvents, and brushes. A metallic epoxy floor in Corona, California is a perfect way to blow away visitors and guests with a one-of-a-kind floor. Epoxy flooring in Corona isn’t just for businesses; it also looks great in your home! Many California homeowners are turning to epoxy concrete floor coatings to achieve an attractive and hardworking floor for their basement, garage, kitchen, laundry room, or living room. Epoxy flooring can handle almost anything you throw at it without degrading. We don’t just serve homeowners. 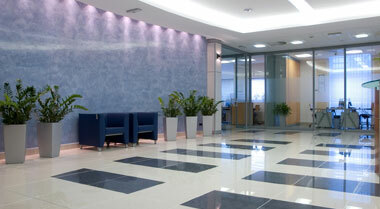 We also offer specialized commercial epoxy flooring in Corona, California. We deliver high-performance epoxy solutions for all types of businesses to withstand heavy traffic, spills, harsh cleaning protocols, and more without staining or degrading. Contact us to learn about specialized commercial epoxy systems designed to fit the needs of your facility. We have been creating beautiful epoxy floors for many years and always focus on customer satisfaction. Our garage epoxy floor coatings in Corona, California can completely transform your garage into the perfect place to work on your hobby or your car. Say goodbye to your dusty, gray, boring garage forever.This is our most requested service. With garage epoxy, your garage will become somewhere you actually enjoy spending time. Its seamless, smooth surface is easy to sweep without dust or debris getting tracked into your home. It resists damage from dropped tools and automotive fluids yet it can be highly decorative. Many homeowners even enjoy a boost in their home’s resale value with garage epoxy installation, especially as it continues to grow in popularity. With epoxy flooring there are hundreds of ways you can custmize it to make it unique to you. Working with epoxy flooring Corona was a breeze, they were so professional and knowledgeable i never felt like i needed to be involved to make sure it was done right, i trusted them 100% of the way and was right to do so. The end result came out even better then i expected. I am so excited with me new epoxy flooring system they installed in my garage. No more ugly cracks and faded concrete it looks so good and really does brighten up the place a whole lot. i was on the fence for a little bit about epoxy flooring but now i would never go back. I just had a new epoxy flooring system installed in my garage and i seriously could not be happier. The color and design came out even better then i had expected and it really transformed the entire look of my garage! I cannot recommend this company enough if you are looking for epoxy flooring. Call Now! 951-418-3433 Or Fill out this form and someone from our team will reach out to you shortly. We take pride in offering a wide selection of robust and flexible epoxy solutions for residential and commercial customers. Here’s why we’re one of the top epoxy flooring companies in Corona, California. We believe that our work speaks for itself. Our epoxy floor contractors are committed to excellence with attention to detail and a goal of perfection with every floor we install. We strive to deliver the best customer experience possible from start to finish. That’s why so much of our work comes from referrals. We believe in building long-term relationships in the community with honest work done at a price you can afford. While we use only the best materials possible, we don’t charge high markups you will find with other epoxy installers. We use only the highest-grade epoxy materials possible to deliver superior results every time. Our clients benefit from long-lasting professional epoxy floor installation that can withstand most perils without suffering from common issues associated with low grade epoxy and poor installation like separation. Curious about our process? Want to know if your home or business is a good candidate for epoxy? We are happy to answer any questions you have for us! Here are some common questions we receive from customers. Please give us a call for any additional questions or concerns. What are the benefits of epoxy floors in Corona? Epoxy floor coatings in Corona, California come with numerous benefits for homeowners and facility managers. While we use industrial-grade epoxy for great results, our epoxy systems are great for homeowners who want to renovate their basement or enjoy a clean, durable garage floor. How long will it take to install a new garage epoxy floor? 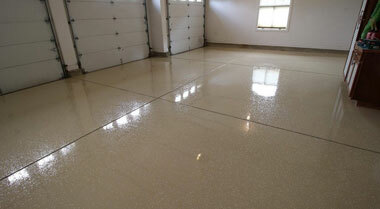 With our experienced epoxy garage floor installers, getting a new, beautiful garage floor takes no time at all. We use specialized equipment and years of experience to prepare your concrete and install your new epoxy floor system in as little as one day. How do you prepare the concrete? Because surface preparation is the most important factor in a long-lasting, strong bond, we don’t cut corners when it comes to prepping your existing concrete slab. Our residential epoxy flooring experts take the time to fill and repair cracks, joints, and damage with epoxy resin. Grease and other stains will also be lifted from the concrete because they can interfere with bonding, bleed through, or cause premature floor failure. Only when your concrete is dry, clean, and in good condition do we use diamond grinding or shot blasting to profile the surface and open pores in the concrete. From there, a special primer will be applied to achieve beautiful and flawless results. How long will a new epoxy floor system last? The expected lifespan of epoxy flooring in Corona, CA depends on where it’s installed, how well it’s installed, the grade of epoxy, and the wear and tear it faces. As a general rule, commercial epoxy flooring in high-demand environments can last up to a decade. Our residential epoxy flooring can easily last up to 20 years or even longer. It’s not uncommon to see epoxy that’s 30 years old and still in good condition, especially in areas that aren’t exposed to heavy traffic or UV rays like the basement. Of course! If you would like an estimate for your project, please give us a call. We provide free written estimates for residential and commercial projects in Corona, California after assessing your space.